Wildernest Glamping is New Zealand's leading luxury camping experience in pop-up accommodation. It enables your guests to experience New Zealand’s great outdoors in comfort. We offer a range of locations to hold your getaway or if you have a special place in mind, we'll come to you. 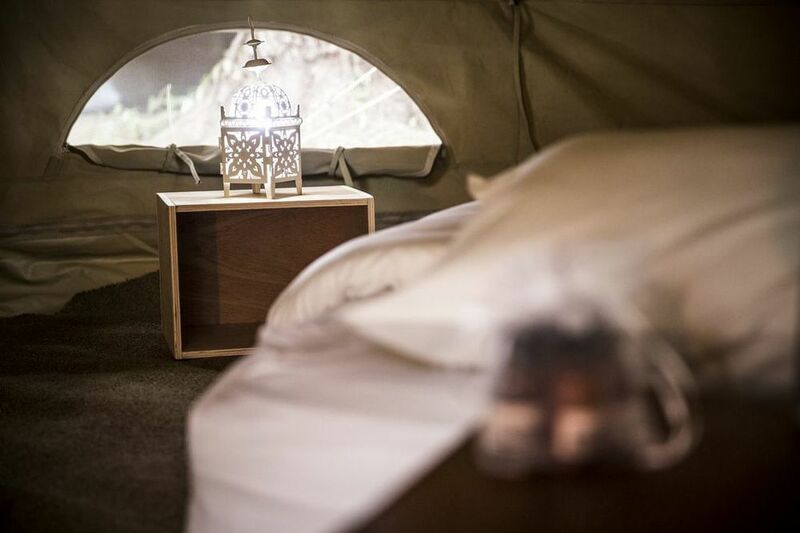 Every Wildernest glamping set-up is bespoke. We start with a furnished five metre bell tent then you choose all the optional extras you want from flushing toilets, hot showers, powder room, outdoor lounge, concierge service and the list goes on, contact us to discuss. We are also adept event managers, managing all internal event and delegate logistics, styling, catering and on-site entertainment. Wildernest also have a wide range of hire furniture we have built specifically to suit your outdoor event.